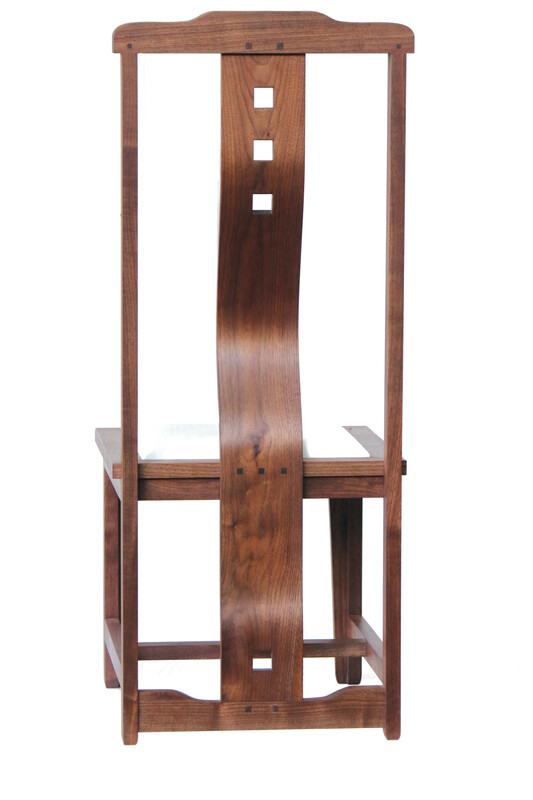 This was the prototype for a set of 10 chairs (2 arm chairs and 8 side chairs) designed for a client as part of a design brief that demanded adherence to traditional forms while matching an existing dining table, this formal Ming Dynasty inspired dining chair lends itself to numerous interpretations. 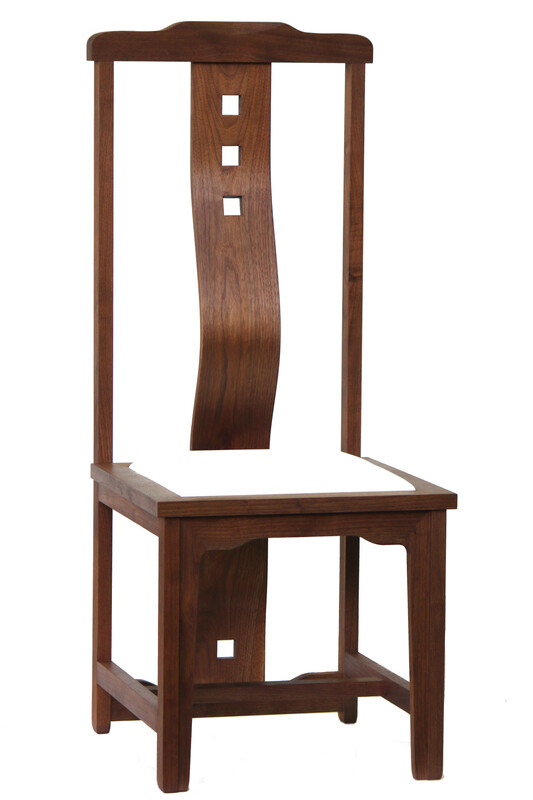 Comparing this with the client’s version (Modern Ming Chair #1), you will notice that the splat is more dramatic in side view. The client opted for a more subdued visual impact with a less pronounced curve. 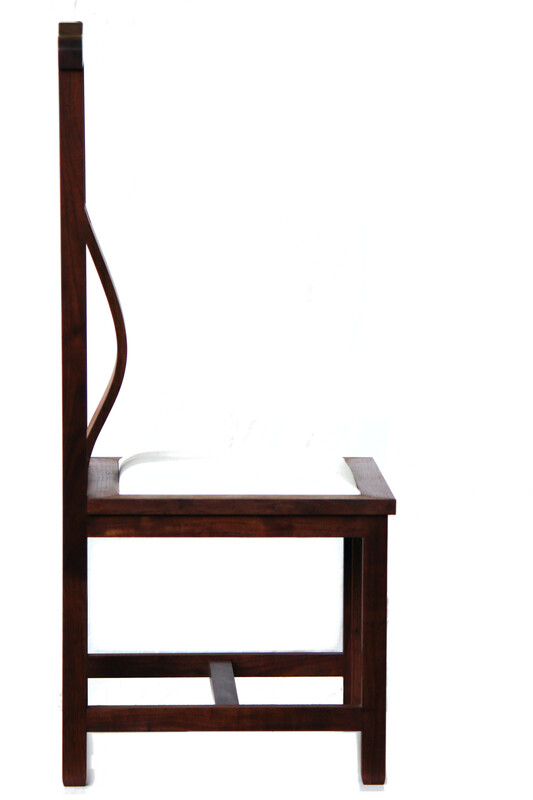 The location of the splat relative to the seat keeps the sitter in a formal position without effort. Though formal, these are very comfortable dining chairs. 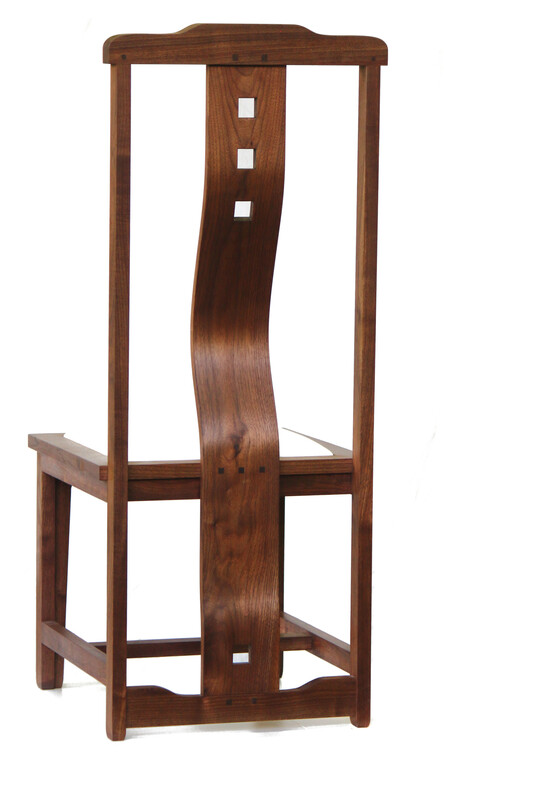 Shown is a side chair made of Ontario black walnut (Juglans nigra), finished with walnut danish oil. Other finishes are also available. Sizes are customizable; shown at 19” x 46¾” x 20 ½”. 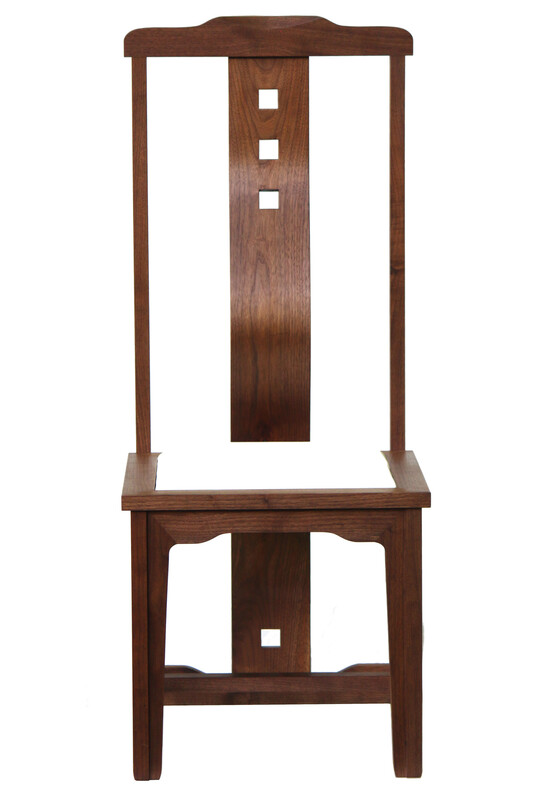 Available in side and arm versions in a variety of domestic woods, fabrics, and colours.